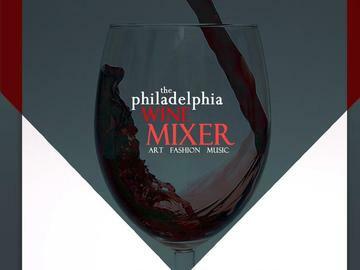 On Friday, February 7, 2014, from 7-11pm, the Philadelphia Wine Mixer comes back to the African American Museum of Art. This event attracts professionals from all backgrounds to network and enjoy an evening under one roof. At this mixer, Ricky Codio, noted photographer will be showcasing his work as the art exhibitor. The crowd will have the opportunity to listen to the music of Mel Alston Jr. and Sap Sounds. There will also be a fashion showcase with limited VIP seating and Mah Jing Wong, Marquette Collection, and Christopher J. Brown are amongst some of the designers that will be showcasing their lines at this mixer. Syreeta Martin, blogger of Sincerely Syreeta will be hosting the fashion segment.